The term ‘systems theory’ is used to characterize a set of disparate yet related approaches to fields as varied as information theory, cybernetics, biology, sociology, history, literature, and philosophy. What unites each of these traditions of systems theory is a shared focus on general features of systems and their fundamental importance for diverse areas of life. Yet there are considerable differences among these traditions, and each tradition has developed its own methodologies, journals, and forms of anaylsis. 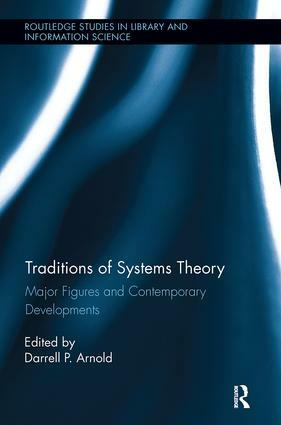 This book explores this terrain and provides an overview of and guide to the traditions of systems theory in their considerable variety. The book draws attention to the traditions of systems theory in their historical development, especially as related to the humanities and social sciences, and shows how from these traditions various contemporary developments have ensued. It provides a guide for strains of thought that are key to understanding 20th century intellectual life in many areas.